Indulging in some Lancaster County shopping is one of the most fun ways to explore and learn about Pennsylvania Dutch Country. 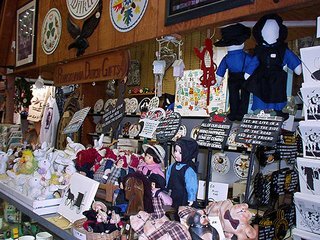 When you visit one of the authentic Pennsylvania Dutch country shops or Amish stores, you're really visiting a living museum. 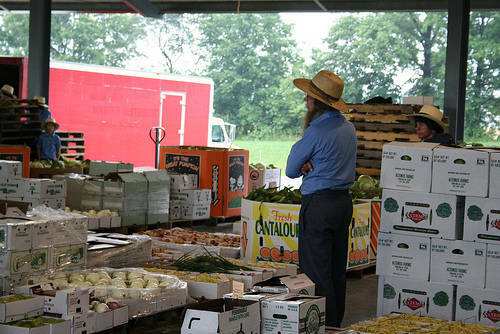 You'll see everything from authentic Mennonite and Amish crafts and folk art to locally-prepared food that may be hard to find back home. Furthermore, theses Lancaster shops are staffed by locals and visited by locals who may provide you with colorful stories of the past as well as recommendations of places to see. Whether you're shopping for Amish arts & crafts, antiques, or designer name fashion and jewelry, you are likely to find it in Lancaster County--- at prices cheaper than you'd find back home. Of course, like anywhere else that receives tourists, you will have to be wary of Lancaster County shops that peddle mass-produced "junk" as well as items that appear authentic but aren't. However, those places aren't too hard to spot. Probably the best way to find the hidden treasures is to start chatting with the locals who are usually friendly and helpful with their advice. If you are staying at a bed & breakfast, be sure to ask the owner about their favorite "off-the-beaten-track" places or seek their advice about Lancaster County shopping tips. There's lots of valuable information you can learn just by making friends. If you enjoy shopping, you will love exploring the many country stores throughout Lancaster County. There are many charming Lancaster County shops both off as well as on the beaten track that are full of reasonably-priced, locally produced goods. Even if you don't buy anything, it's a lot of fun gazing at the myriad of colorful crafts on tables, sitting on shelves, displayed on walls, and even hanging from ceilings. In many of the Lancaster County shops if feels as if you've walked back in time directly into a Norman Rockwell painting. In the more interesting country shops you will find authentic crafts, furniture, and folk art created by Amish and Mennonite artists and craftsmen. Among the treasures you will find will be Amish quilts, Hex signs, Amish furniture, toys, wood carvings, fabric, pottery, lace Amish dolls and other items. Lancaster County is quickly becoming well-known for the number of quality antique stores present. It's all here - from 18th Century Lancaster County furniture to a 1964 Mustang. Although the prices can get steep, experienced antique admirers can find some real bargains. In any case, it can be quite pleasurable to window-shop as well. Moreover, if you are searching for antiques, it would be worth your while to visit Adamstown, which is commonly known as the "Antique Capital of the USA." 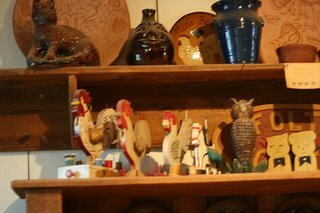 Nearly every weekend the town has over 3000 dealers offering 18th and 19th Century collectibles. On Sundays there are at least eight antique markets open to the general public. These antique markets are a popular favorite with individuals seeking something unique from their Lancaster County shopping excursion. Also, about three times a year, special Antique Fairs are held with over 4,500 antique dealers from across the country. Even if you aren't an antique buyer, Adamstown is certainly worth a look. 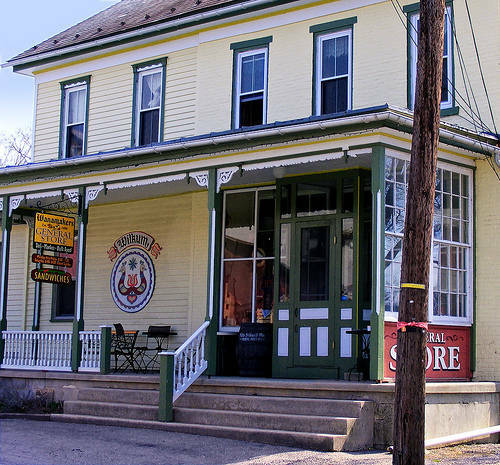 Although the antiques may not necessarily be connected to the Amish, Mennonites, or even to the Pennsylvania Dutch culture, observing the unbelievable displays of antiques makes for an entertaining and informative way to pass the afternoon. Have you ever thought about spending an afternoon at an auction? Many people who have never been to one may think they are stuffy, boring, and expensive. This is not so in Lancaster County. Here, auctions are more of a community event and are part of a Pennsylvania Dutch tradition since auctions were a major source of commerce years ago. It is also a traditional source of socializing for the community. As such, it is great way to observe people and learn about the culture during your visit. If you can overcome your shyness to bid, you can find some great bargains on local crafts, including some beautiful Amish quilts and high-quality, locally made furniture. While there are plenty of handcrafted items for sale, there are also many other items available. The list can include fresh produce livestock, wagons, buggies, tractors and farm equipment. Not interested in purchasing any of these? Don't worry, it's still fun to watch others bid and win. Lancaster County, as well as nearby Reading and Berks County, offers a great many outlet centers, where you will find dozens of brand name stores in one convenient location. At these outlet centers, you will find designer clothes, shoes, jewelry, china, and more at a fraction of what you would spend at a conventional store. By selling directly to the public and eliminating the middleman, the manufactures are able to offer top-of-the-line products at bargain prices. The outlets are so popular that bus loads of visitors pour in each day from neighboring Eastern cities just to shop. Please click on the following link for specific information regarding some of the more popular Lancaster PA Outlets.